Officer Patrick Eash has an ongoing dialogue with about 11,300 people on Facebook. And that’s what his superiors at the Port Huron Police Department want. Eash is the department’s Drug Abuse Resistance Education and community services officer, and he’s also the person responsible for the department’s presence on social media. 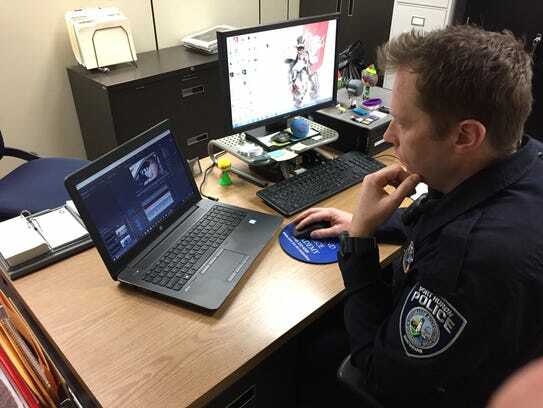 If you were one of the thousands of people who viewed the department’s dashcam video of officers Sam Backer, Brian Daly and Derek Paret lip-syncing the Backstreet Boys’ “I Want It That Way,” you’ve seen part of what Eash does. “In our department, we have a community policing philosophy,” he said. “In the past, that was mostly things like Neighborhood Watch, community meetings, safety presentations … basically community involvement, which is all great and necessary. One of the objectives is for people to see police officers as people — not as the person who’s trying to catch someone doing something. 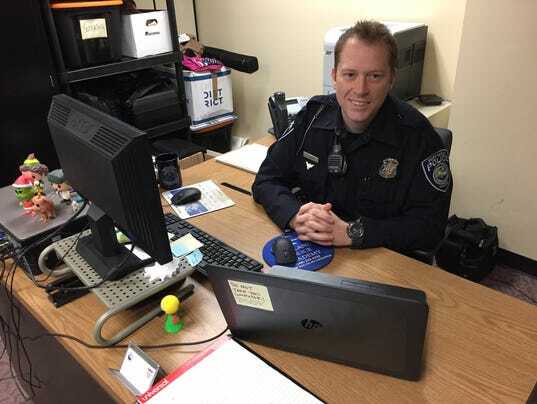 “The main purpose is to interact and have a two-way conversation between the police department and the residents of the Blue Water Area,” Eash said. He said videos such as the dashcam karaoke help humanize officers. He said the department’s presence on social media is not “all fun and games,” however. “That opens it up so a lot more people can see what we have to say,” Eash said. The department used Facebook recently to collect tips about an armed robbery at the Days Inn on Pine Grove Avenue. The department also uses social media to help people. “Since we have a lot more people interacting with us … we have a dialogue to answer people’s questions,” Eash said. Port Huron Police are on Facebook at facebook.com/PortHuronPolice and on Twitter at @PortHuronPolice. The department also has a website at porthuronpolice.org. “Soon we will start doing an Instagram account, and we have started dabbling in Facebook Live,” Eash said. He said he spends a couple of hours a week on things such as videos and updating the Facebook page. He also is available to monitor the department’s social media presence around the clock. He said he comes up with some of the video ideas, while others are team efforts. “We have a recruitment team, and our recruitment team will bounce ideas off each other when we meet. He said people recognize him from social media. “I’ve had several instances where people come up to me and say, ‘I love your video. What are you going to do next? '” Eash said. The department’s experience with social media seems to be having the desired effect, he said. He said the department’s administrative officers are “100 percent supportive” of the social media efforts.